The Dye Forum, on my site, is a sad story. I have not been able to resurrect it. I still have the old posts, but the old Drupal content management platform it ran on was the subject of so many spam attempts to register that the server kept crashing, and I was unable to get a new version of Drupal to work. It’s not really an appropriate platform for a non-professional. Last week’s attack on the WordPress blogs on my site was caused by a similar attack to the Drupal one: it’s nothing personal, just too many spam robots trying to insert comments with pointless advertisements (mostly for shoes, of all things) at the same time. Even though they cannot succeed in posting their comments, the sheer volume of their attempts causes trouble. I would like to recreate the Dye Forum when I get the time and energy to do so. I have tinkered with setting up a WordPress forum in my All About Hand Dyeing Q&A, but haven’t gotten it going yet. Stephen O’Connor’s Tie Dye Forum is down, presumably for similar reasons. I still have copies of the archives from the old EMU DyersLIST. The Jacquard Products Forum, at the dye company’s website, is still up, but it is full of spam advertising. It need to be cleaned up. I hope that the company doesn’t decide to discontinue it, instead. The Complex Cloth mailing list, is still active and fully functional. “A list devoted to the creation of art cloth, or complex cloth, based upon the techniques presented in Jane Dunnewold’s book, Complex Cloth.” Membership is restricted; I don’t know what the policies are for whether new members can join. The email address for subscribing is complexcloth-subscribe@yahoogroups.com . The Natural Surfaces group on yahoo groups is run by Kimberly Baxter Packwood. It does not appear to have many posts these days; it looks like most are just monthly repostings of the rules files. The Natural Dyes Mailing List on yahoo groups, in contrast, has considerably more postings by list members. 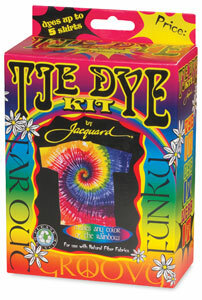 The email address for subscribing is naturaldyes-subscribe@yahoogroups.com . One of the most active groups right now that I see is the excellent Addicted to Tie Dyeing Facebook group. Even if you are not a Facebook user, you may want to set up a Facebook account (you can do this with minimal information about yourself if you prefer), so that you can access this group. You can set it up so that you receive an email for each new post in the group. Please feel free to comment here on this blog. You won’t see your comment appear immediately, since I have to approve comments individually in order to distinguish real comments from spam, but I will certainly approve your comments. I approve all non-spam comments. This entry was posted in mailing lists and forums on February 8, 2015 by pburch.